Proven geometries. The right insert for every extreme machining application: bar peeling, roll turning, railroad wheel turning, heavy turning, milling and grooving. Inserts that work as hard as you do – in your toughest applications. 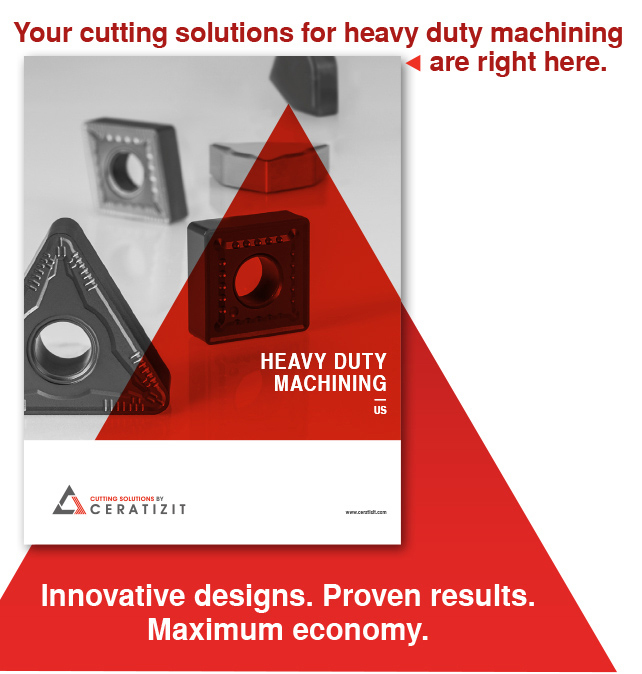 Heavy duty machining solutions from CERATIZIT. Backed by over 40 years of expertise and innovation. Click the catalog to download. Or contact: info.usa@ceratizit.com or 800.783.2280 to get yours by mail.